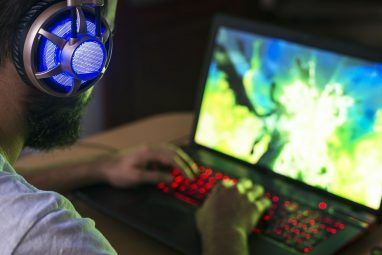 Mobile games are becoming more advanced every day — so it’s no wonder that more people are interested in pairing controllers with their devices. One popular option is the PlayStation 3 (PS3) controller since most owners have since upgraded to the latest console and don’t use the old controller anymore. But doing this is not a matter of plug-and-play. In fact, there is setup and some legwork involved in making sure your pairing dreams come true. Here are two ways to pair your PS3 controller with your Android phone or tablet — along with their compatibility limitations and other requirements. Sixaxis Controller is the go-to app for those looking to pair their PS3 controller and Android mobile device. In terms of pairing apps, it has the widest range of compatible devices. However, the app requires a rooted device 13 Best Root Apps for Android in 2017 13 Best Root Apps for Android in 2017 If you have a rooted phone, you need these apps. Read More . This may be a deterrent for some users as rooting your device This Is the Best Way to Root Your Android Device This Is the Best Way to Root Your Android Device If you want to root your Android phone or tablet, this is the best way to do it. It bypasses restrictions that other root methods don't. Read More voids its warranty. If you’re not careful, you could also end up bricking your phone or making the rooted device vulnerable to security threats 4 Security Reasons Why You Should Never Root Your Android 4 Security Reasons Why You Should Never Root Your Android Rooting Android -- like jailbreaking iPhone -- brings with it some great function benefits. But there's a down side: what risks do you face by rooting your Android device? Read More . Luckily, there is a variety of software to help you safely root. If your device has a locked bootloader (such as HTC devices), you will first need to go through the process of unlocking your bootloader and then only rooting your phone. Once you’ve done this, you can get started with Sixaxis Controller. Since this is a paid app ($2.49), it is recommended that you use Sixaxis Compatibility Checker [No Longer Available] first to make sure that the app works on your phone. In the compatibility checker, you simply need to press ‘Start’ to check whether your phone is compatible. The app will also state whether your phone is rooted or not. You will know whether your phone is compatible if the app is able to supply you with your phone’s Bluetooth address along with a dialog box that confirms compatibility. Keep the Bluetooth address on hand (you will need it later) and proceed to the next step. To use Sixaxis Controller, you need to make your PS3 controller compatible with the app by preparing it using a PC tool. The option suggested by the app’s developers is SixaxisPairTool. The tool is available on the developer’s site. Install this tool onto your PC and run it as an administrator. 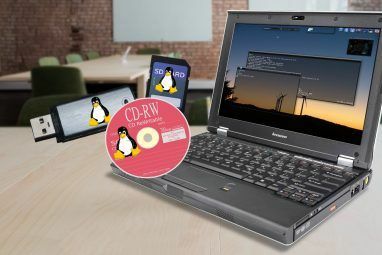 There is a Windows version, but also a macOS and Linux controller pairing tool 6 Tips to Get Your Game Controllers Working on Linux 6 Tips to Get Your Game Controllers Working on Linux Linux boasts several means to play old DOS and Windows games, either via native support, or from key mappers. But occasionally issues pop up. Game controllers not working on Linux? Try these tips! Read More . We will be covering the Windows tool. The simple program provides you with a small dialogue box stating the Bluetooth address of your controller’s master device. It also has a space that allows you to change the master device. Type your phone’s Bluetooth address (as provided by the compatibility checker) in this box and continue. The program will then install the correct drivers needed for your controller. Some users find issues with this portion of the pairing process. Sometimes SixaxisPairTool does not run, with an error saying that “libusb0.dll” is missing. One way to work around this is to go into the x86 folder in SixaxisPairTool’s installation folder and rename “libusb0_x86.dll” to “libusb0.dll”. Then copy the file, along with “libusb0.sys”, to the same folder as SixaxisPairTool.exe. You should also access your device manager and uninstall the device named “HID compliant game controller”. If you can get the program to run, but can’t install the drivers, you can use SCP Toolkit as an alternative driver installer. You will then be able to move onto the mobile app portion of the pairing process. Things get relatively easier when it comes to pairing your controller and the Sixaxis Controller app. Make sure that the app has superuser permissions before you start. It’s as easy as literally just pressing a Start button. The app will then do a series of checks to make sure you have the correct drivers. By pressing the “Pair Controller” button, you will be able to check that your phone’s Bluetooth address is now the controller’s master address. If you were unable to properly pair the controller with SixaxisPairTool, the Pair Controller function will do this for you — as long as the correct drivers are installed. You will know the connection is successful when the dialog in the app says “Client 1 connected”. You can check that everything is working by moving the controller buttons around — the app should respond by moving its selections according to your buttons. Now you just have to start up a game that allows gamepad input Can You Use Your Controller With A Game That Does Not Recognize It? Can You Use Your Controller With A Game That Does Not Recognize It? You have just purchased a new PC game, you plug in your controller in eager anticipation and … oh, no, not recognized! Don't despair there is a way to solve the problem. Read More and have fun. Using the Sixaxis Enabler app to connect your PS3 controller to your Android device is by far the easiest method to use. So why don’t more people promote it? Well, the drawback of the app is its extremely limited compatibility. Since it doesn’t require root, it relies on your device to have the correct firmware support for PS3 controllers. The brands which most commonly work with the app include Samsung Galaxy and Nexus phones. Some LG flagships are also compatible. However the HTC One, Samsung Galaxy S7, and LG G5 are notable devices that are not compatible with the app. Like Sixaxis Controller, Sixaxis Enabler is also a paid app that will cost you $2.49. So if you’re one of the lucky people who has a device that will work with the app, what do you need to do? The first step for this method is extremely simple — buy the app, download it and open it. The app doesn’t require you to root 7 Advanced Android Hacks That Don’t Need Root 7 Advanced Android Hacks That Don’t Need Root You don't have to root your phone to get some awesome customizations. Read More your device — and it also doesn’t require any special permissions at all. The app itself is also extremely simple, with a minimalistic user interface that includes a screen with instructions and a troubleshooting page. At the very top of the app, you can see its status. When it says “Detecting Sixaxis, please attach controller”, you should do just that. Once you have connected the controller and switched it on, you will receive a prompt on whether you want to allow the app to access your device. Simply select OK and the app will begin syncing. If your device is compatible, the status of the app will change to “Sixaxis Enabled”. You can then move the controller’s joysticks and press buttons to make sure that the app is registering these movements. If it is, lines of code will appear as you interact with the controller. If your device is not compatible, rooting will not fix this unless you add a custom ROM that has the right firmware updates. While my HTC One M7 worked with Sixaxis Controller while rooted, it was not compatible with Sixaxis Enabler. However, compatibility with the Samsung Galaxy S8 was confirmed. Once your controller is paired to your device, you can simply open a game and begin using it. Other Ways to Pair a PS3 Controller to Android? Despite the increasing popularity of using controllers for Android games How to Use Switch Joy-Con Controllers on Windows, Mac, and Android How to Use Switch Joy-Con Controllers on Windows, Mac, and Android Nintendo's new Joy-Con controllers for the Switch use Bluetooth, meaning you can pair them to Windows, Mac, and Android devices. Read More , there is a limited number of ways that you can pair your PS3 controller with your phone. We have outlined the two main methods Android owners can use. Some Sony Xperia phones actually have pairing functionality built into them. This allows you to simply plug in your PS3 controller and enable it in your Xperia settings. While this is the most desirable solution, only select Xperia phones (usually the premium models) have this functionality. Meanwhile, recent releases such as the Xperia XA1 Ultra don’t have this functionality due to their lower price point. But with more aftermarket controllers Should You Buy An Aftermarket Controller For Your Console? Should You Buy An Aftermarket Controller For Your Console? The Xbox 360’s gamepad has become the standard for both PC and console games, but the PlayStation 3's gamepad isn’t much worse, and both next-gen consoles improve on their predecessors. Does that mean aftermarket controllers... Read More emerging in stores, we’re sure the desire to get a controller working with your Android phone is not going to die down anytime soon. In the meantime, more game developers are finding unique input methods for mobile titles 5 Mobile Games You Control in Crazy Ways 5 Mobile Games You Control in Crazy Ways Tired of the same old mobile games? These five unique titles for Android and iOS let you play using your phone's microphone, gyroscope, and even by tapping the back of your phone. Read More . Do you know of any other ways to pair a PS3 controller to an Android device? Or do you use a different controller? Let us know in the comments below. Explore more about: Android, Game Controller, PlayStation. 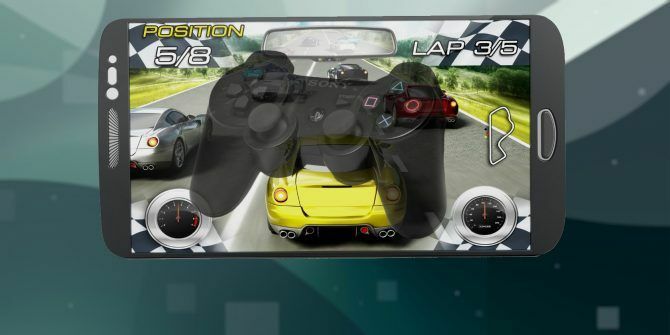 The 10 Best Racing Games for AndroidWhat Is My Phone’s IMEI and What Is It For? Doesn't work with the Samsung Galaxy J7 Sky Pro for anyone wondering just ignoring compatible lists and stuff. I like the article thanks it was a memory. The story has been updated with a no root option. 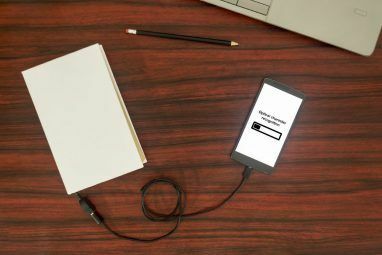 Unfortunately, you will still need an adaptor to connect the controller to your phone, and there are only a few phones compatible with the new app. This was a real pain to do but it was well worth it. Now I can enjoy all my GTA games to their full extent. Nice guide. I did everything the guide said to but when it gets to listening for controllers, nothing happens, ps controller just keeps flashing for a while and the app doesn't pick up the contoller. Any ideas?? Can somebody please help me my controller is supported on my nexus 7 but I cannot adjust left and right stick in order to normally play games. Hi there. i found problem. i have rooted device, sixaxis checker ok, then i run it in full app, Start, successfully configured BT, controllers listening, pressing ps button, unplug, chnage IME but there is no activity from my bluetooth, so its not working without cable and with cable it works badly. what iam doing bad? 3- Enjoy ps3 native without cables and without paying for strange apps. And how exactly does it emulate on-screen controls in games that don't natively support the controller without some "strange app"? connect it by USB to your phone, no big deal, detected out of the box and running in all games. Save your cash. Does that work with w 8? will i be able to use it with my ps3 again? Yes, but you'll need to re-pair it with the ps3 as if you'd bought a new controller. I just want to ask you can we play any game with PS3 Controller or just some games. any game, yes, but you will need to run through the setup for each game to choose a custom profile. The best games will be those with on-screen analog control stick, which the app can map to the physical controller. I installed the checker in my Ouya console but it just stayed at "driver starting..."
Megan decided to unite her Honors Degree in New Media and lifetime of geekiness to pursue a career in tech and gaming journalism. You can usually find her writing about a variety of topics and drooling over new gadgets and games.